Get out and enjoy the nice weather. Check out Asia Dog, if you are in NYC. And, also, read some comics and listen to our latest review! Here Episode 168 here and on our Facebook page. 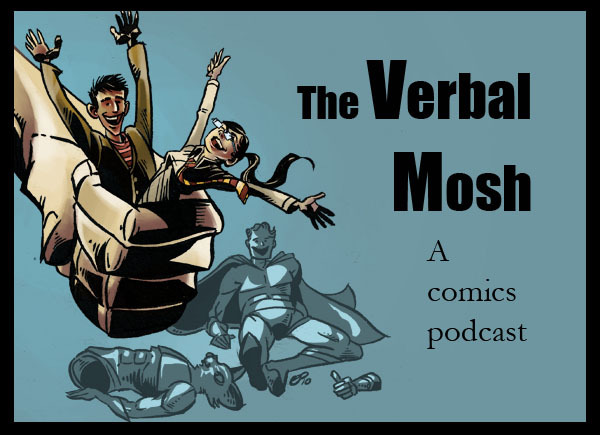 This week, the Verbal Mosh reviews: Amazing Spider-Man #686, Aquaman #9, Captain America #12, Chew #26, Fantastic Four #606, Flash #9, Mighty Thor #14, and Superman #9. Check it out for our latest Pick of the Week review.